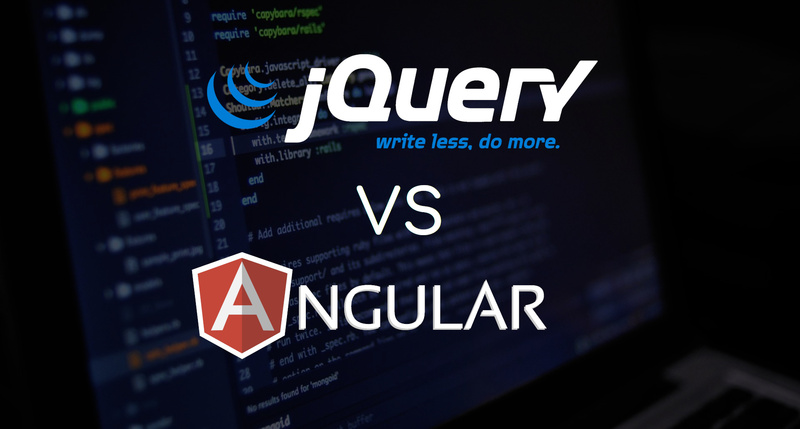 To find out which is better - Angular or jQuery, let’s define what both are in general. It uses directives that keep HTML pages and scripts mess-free and extremely organized. Built-in services for RESTful server communication. JQuery is a library. And on the other hand Angular is a framework. Angular gave developers a powerful methodology to create a single page application (SPAs). Whereas a developer is working with Angular he can make use of the jQuery plugins to approach with his work smoothly. JQuery has no binding structures, developers have full freedom to build a project as they wish. Jquery doesn’t support two-way data binding. But Angular supports two-way data binding. Angular much uses of Dependency Injection (DI), where JQuery doesn’t use Dependency Injection. JQuery can be used on any website or web application. Angular is mostly used for Single Page Applications (SPA). Angular came with RESTful API whereas we don't have that in jQuery. Angular supports the MVC pattern whereas jQuery doesn't. Deep Linking Routing is supported by Angular whereas jQuery doesn't. The Angular file size is quite heavier than that of the jQuery file size. Angular requires an additional library (ngAnimate), where as jQuery has direct access to the .animate() function. If you want to build a website, jQuery is enough without Angular. And if you want to build a web application, need to go with Angular. And lastly, we can say that Angular or jQuery each one has its place in the sun. Both play a vital role in the front-end development. We can see new versions of both from time to time. Do not be afraid of changing conditions, choose the right tools to make your way. If you have any shareable experience regarding this topic, then, please feel free to put your thoughts in comments below. If you found this post or article useful then please share along with your friends and help them to learn. Thank you!